Aluminium poles are made of a special AlMgSi alloy with higher elasticity. The durability and aesthetics of the poles have been achieved thanks to the anodizing process with the minimum coating thicnkess of Al/An 20µm. The wall thickness is 1,5 – 3,5 mm. 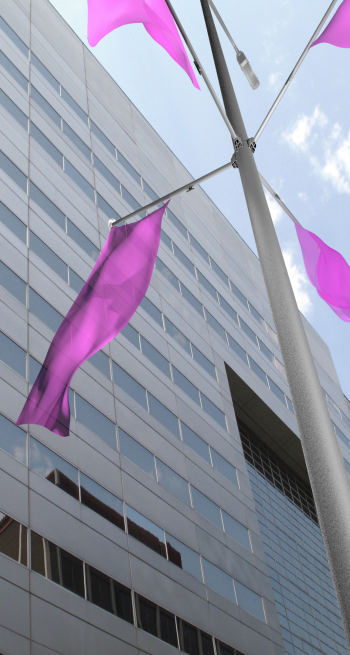 Flagpoles are exposed to negative atmosphere factor. Aluminium used as the basis material helps to minimze this effect. Aluminium creates a protective coat on its external structure. 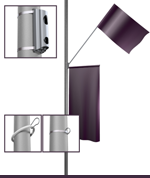 Therefore, there is no need for prepainting and galvanizing as it is with steel flagpoles. Normally aluminium flagpoles are satinied. 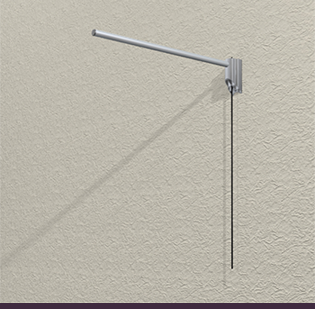 At additional cost, they can be powder coated – according to RAL palette or anodized for natural-silver colour. You choose what you need! 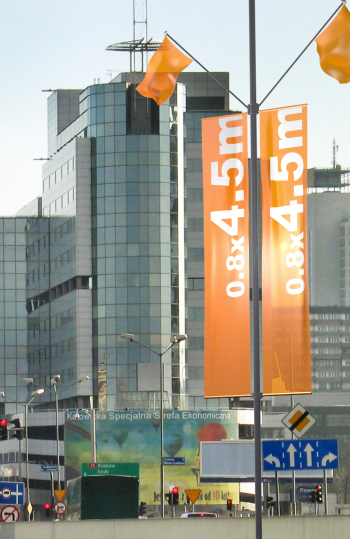 Banner is installed parallely to the pole's axis. Two arms stretch the banner. 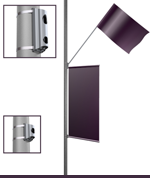 Banner is installed parallely to the pole's axis. Banner and flag are installed perpendiculary to the pole's axis. Two arms stretch the banner. 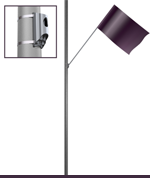 Banner and flag are installed perpendiculary to the pole's axis. 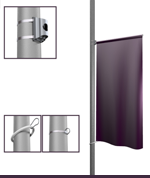 Flag can be installed at any side of the pole. For most of the systems it is possible to install them on the wall. Silicone damper – it absorbs strong wind gusts. 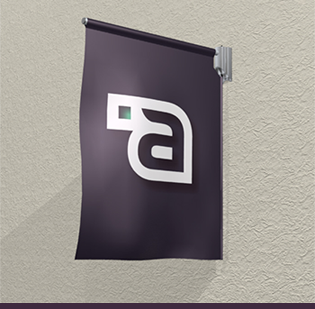 It is reccommended for big advertising medium with two banner arms. It protests poles against corrosion. 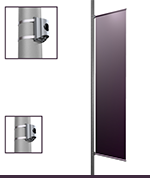 Protector- it protects a pole against corrosion and against stainless steel bands. This protector is available in various colours- at additional cost.